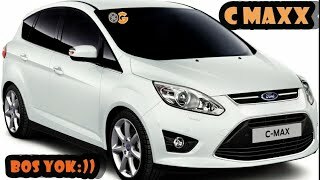 In case you're on the lookout for a compact family vehicle, the Ford C-Max 2012 is undeniably one of the best options out there. It offers a wide range of practical features, great fuel economy and lots of safety features. First things first so let's start with what's under the hood. The C-Max 2012 comes with either a 1.6 liter, or a 2.5 liter engine. The 1.6 liter EcoBoost I-4 unit features twin independent variable camshaft timing, low-inertia turbocharging and high-pressure direct injection, three features that increase fuel efficiency by 20 percent compared to a naturally aspired engine. The second 2.5 liter iVCT I-4 unit also offers great fuel efficiency but obviously comes with higher performances, a lot of low-end torque and more agile than the 1.6 liter unit. Both the 2.5 and the 1.6 liter engines are mated with Ford's 6F35 automatic 6-speed gearbox. 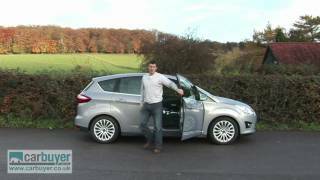 One of the greatest characteristics of the C-Max is that it's a very versatile vehicle. It comes with a 5+2 seat configuration and plenty of room for seven passengers, but since the second and third row can be folded flat, it also offers a lot of cargo space if needed. Furthermore, the C-Max features twin sliding rear side doors for that extra bit of practicality. Some of the features that contribute to C-Max's agility are the Vectoring Control which greatly improves stability in the corners, a completely new electronic power-assisted steering, and a redesigned rear suspension. 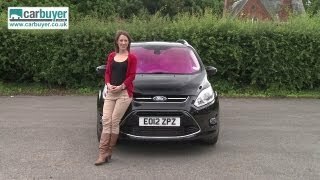 As mentioned above Ford's compact family vehicle offers quite a lot of safety features, reason why the vehicle has been awarded a Euro NCAP 5 star rating. Some of the standard features you can expect from this particular family vehicle are: AdvanceTrac with Roll Stability Control, a strong body architecture built with high-strength steels, dual front and side airbags, side-curtain airbags and tire pressure monitoring system. It all sounds great but the good news doesn't stop here. 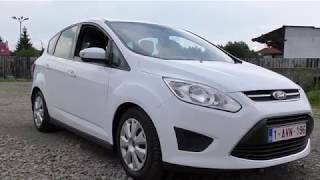 The C-Max also comes with loads of features that will make your driving sessions more pleasurable, such as the panoramic roof, HD radio, rear view camera, hands-free liftgate, active park assist, speed limiter, heated side view mirrors, push-start button, ambient lighting, dual-zone electronic automatic temperature control, front and rear parking aid sensors, a navigation system with touch-screen operation and Sirius Satellite Radio. In case the Ford C-Max is not exactly what you're looking for, you might want to take a look at the upcoming Chevrolet Cruze Station Wagon 2013 or the Skoda Yeti.